A generator can make all the difference in a bad storm with power outages. Having a backup generator at your home is a great idea in case of emergency, but there are a few critical steps to take to ensure you are installing and using it correctly. Cellgen in Freeport, NY, lists three ways to prepare your home for using a generator. 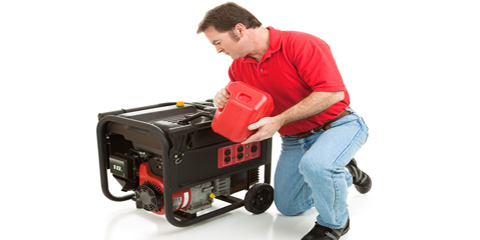 Generator Load: Think about the appliances and electrical equipment that you need to run on the generator. Things like the furnace, refrigerator, water heater, and medical equipment should be included. Speak with an electrician to figure out the load that all of those items will carry and then purchase an efficient generator that can handle the wattage required. Transfer Switch: Before plugging in your backup generator, you must disconnect your home from the grid. Not disconnecting is incredibly dangerous to your home and the rest of the grid, including anyone working on electrical repairs. For safety, install a transfer switch with a sub panel into which the generator is plugged. You can then decide which circuits to run on the generator. Flipping the transfer switch before turning on the generator takes you off the grid and keeps you and any electrical personnel safe. Trial Run: Don’t wait for the power to go out to practice flipping your transfer switch, setting up your generator, and refueling it. Check that the generator is running properly a few times a year, so you’re not stuck when danger hits. Also, make sure the backup generator is on a level surface at least ten feet away from your home to prevent any carbon monoxide emissions from harming you and your family. When the power is out, a backup generator is a key piece of home equipment to have on hand. Cellgen provides generator sales, rentals, and maintenance for residential and commercial customers. From portable generators to natural gas, propane, and diesel options, the company offers a variety of generator choices in addition to a team of skilled technicians to assist with installation. Visit their website or call (516) 889-9300 for more information.